How Much Money Should You Have In Your Bank Account? A few months ago, we talked about how much money you should have in your savings account. In that article we gave you a handy-dandy formula to help you decide how much money you should keep in your savings account, the truth is, it depends on your financial situation but we can provide guidance (below) to help you make those decisions. Today we tackle a similar question: how much money should you keep as a buffer in your checking account? What is a checking account buffer? Before going any further, it’s important to first understand exactly what a checking account buffer is. Basically, a buffer is any extra money you have left in your checking account after you’ve paid your bills. Most people who have a checking account buffer keep this money in their account to use for emergencies or unexpected expenses that may pop-up from time to time. A checking account buffer should be in addition to a regular emergency fund. An emergency fund should be reserved for emergencies while a checking account buffer should provide some additional peace of mind. How much buffer should you keep in your checking account? A study by the Pew Charitable Trusts found that the most expensive financial shock in a year that a median size family may expect is around $2,000. However, they also found that this varies by income. Households with an income of less than $25,000 may expect a financial shock of around $1,000 while families making between $50,000 and $85,000 see a median financial shock of around $2,500 in a year. Also, make sure your bank account doesn’t charge you minimum balance fees which can eat away at your checking account buffer. Check out back accounts with no fees such as Chime who even can help you start building a buffer with automatic savings tools. Where do I start with my checking account buffer? Just like the size of your savings account, it depends. And, to better understand what other people think about this, I sent out a survey by email and posted it on social media. The responses I got were all across the board. Some said as little as $100. Others said $250, $500, or $1,000. Still, others based it off of income or expenses. But, 100% of respondents said yes, you should have a buffer in your checking account. When it comes down to it, each person has a solid reason for the amount of money they opt to keep in their checking account buffer. For my respondents, their answers were based on how much they earn, how much they spend each month, and what type of lifestyle they lead. For example, someone with kids may choose to keep more of a checking account buffer than a single person. “With variable expenses, two kids, and automatic deductions for bills keeping a buffer helps me not have to worry about if I have enough money to purchase something at any given time,” says Kim Studdard, an online business manager from Kansas City, Missouri. Likewise, if you’re self-employed with a variable payment schedule, or a homeowner, you may need to keep a larger checking account buffer to account for those lifestyle choices as well. Unfortunately, not everyone can snap their fingers and build a checking account buffer overnight. If you’re currently living paycheck-to-paycheck, it may take time to build a healthy checking account buffer of any size. Personally, when I started budgeting, I didn’t have a checking account buffer. I had to slowly ease myself into a healthy checking account surplus, $20 at a time. Making sure you’re not losing your hard-earned money to expensive and unnecessary bank fees is also a good way to start building a checking account buffer. 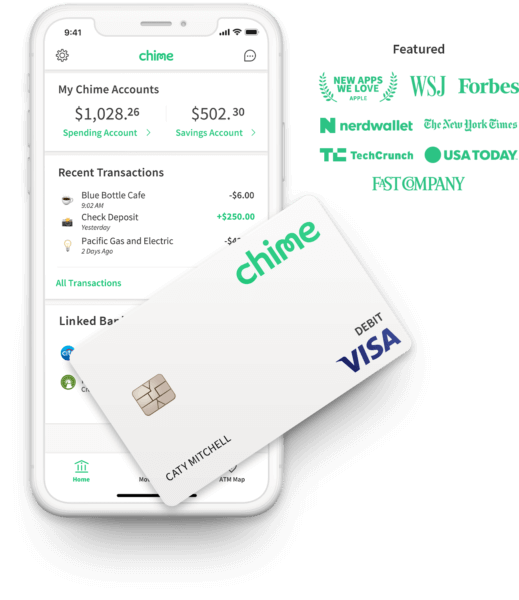 For starters, you may want to switch to a bank account with no fees, like Chime. Remember: it’s better to start small than not start at all.